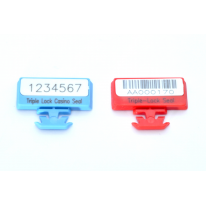 This Triple Lock Casino Seal is designed for the sealing of plastic containers / vaults and bag chambers. These containers and bags are generally used in the Casino Financial Services & Banking, Retail and Police Sectors. 1. 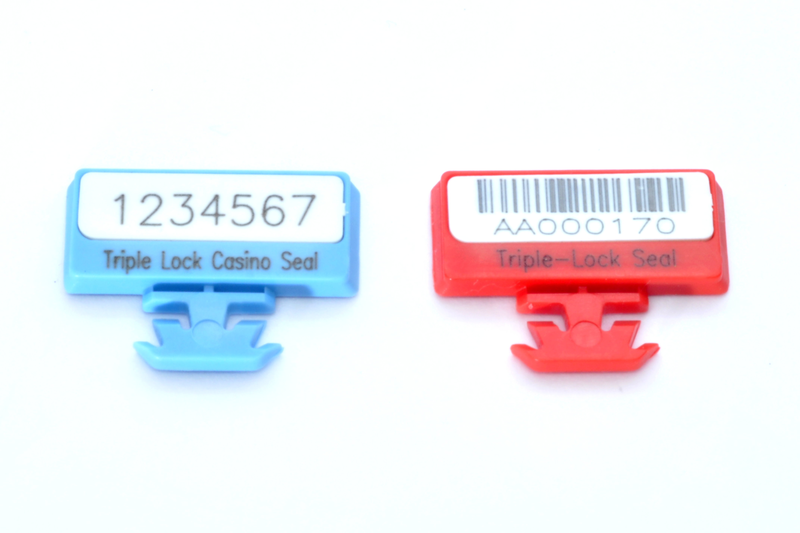 The Triple Lock Casino Seal is quick and convenient to apply, and can be removed manually without a cutting tool. 2. The Triple Lock Casino Seal as the name implies features a triple locking mechanism for greater security and tamper-resistance. 3. 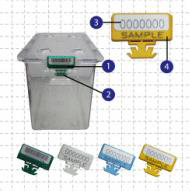 Triple Lock Casino Seals are etched with permanent laser marking for name, logo, sequential numbers, and barcode. 4. The white marking flap is permanently affix to the body via a Ultrasonic welding process.